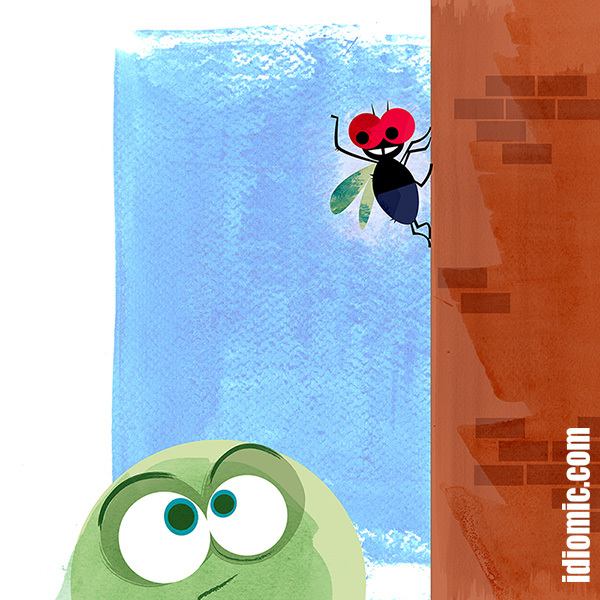 'Fly on the wall' at Idiomic.com: illustration, definition, example, and origin. Example: Barbara would love to be a fly on the wall when Marcie discovers the truth about her boyfriend. Flies have long been noted in literature for their ability to be unseen. Centuries, in fact. As such, authors have expressed an interest in being flies for the purpose of watching events unseen. It was originally expressed as “if I were a fly...’ The current expression seems to have appeared in the early 1900s in America, at least in print. It is commonly used in describing ‘fly on the wall’ documentaries, films normally covering the day to day life of individuals where the presence of the camera and crew are unseen. Iddy is no fan of six-legged, disease spreading, flying vermin. But then again, he prefers them to his Auntie Vera. Not only can she fly and spread disease, she has eight legs.